ATLANTA — Charisma. Confidence. Preparation. Competitiveness. If you’re still asking the question “Who is Case Keenum?,” you may be missing the boat on the player, described as those words listed above by those knowing him best at the moment, who might very well one of the two starting signal-callers in the biggest football game of the season. 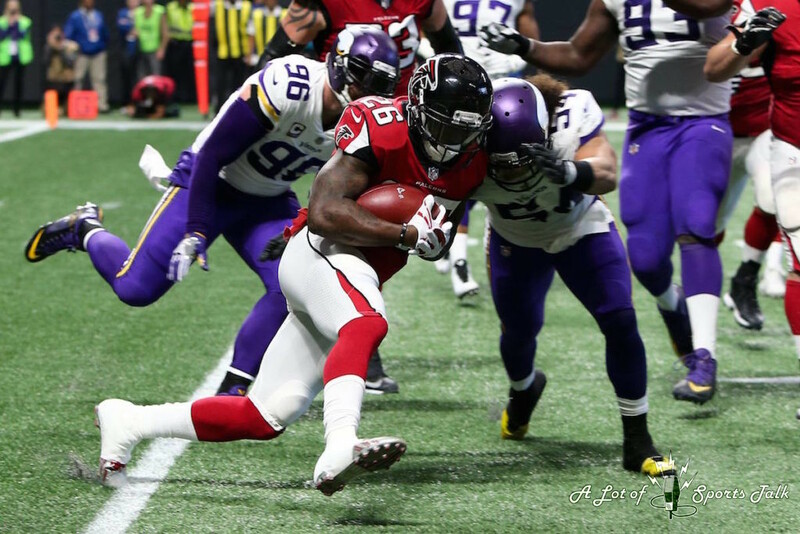 Even more impressive than the collective unit of the Minnesota Vikings defeating last season’s NFC champions, the Atlanta Falcons, 14-9 on the road in the new Mercedes-Benz Stadium, was the near-flawless play of Keenum, the journeyman quarterback who has now led the team on a journey that has included eight consecutive victories, the first time the Vikings have done that since their 15-1 campaign in 1998. 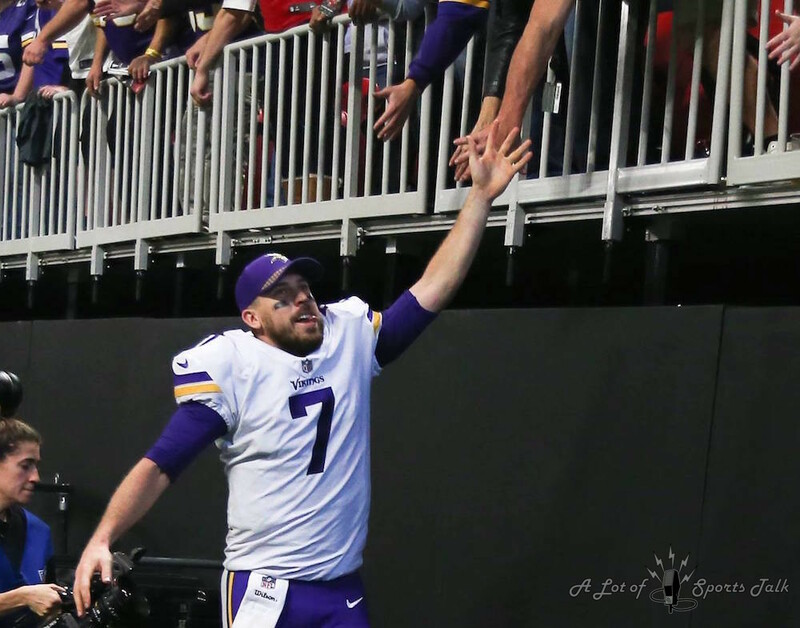 Two months ago, Keenum was viewed by many outside of the locker room as the temporary solution to a Vikings team with championship potential but faced with the prospect of having their season careening off course due to the aggravation of a knee injury to the team’s starting quarterback to begin the season, Sam Bradford, in Week 5 in Chicago. Questions then focused on Teddy Bridgewater, the quarterback of the team’s recent past and bright future, who was just weeks away from being activated for the first time after a horrific knee injury before the start of last season, prompting the Vikings to part ways with a first-round pick to acquire Bradford from the Philadelphia. Could Bridgewater, after almost two years off, reclaim the form that convinced many that the Vikings had their quarterback who could lead them back to their first Super Bowl in 40 years? Keenum was thought to be a stopgap. He has now turned into an unassuming star. But who is Keenum, you still ask? Where did he come from? The best way to know the quarterback leading the team that currently would be the No. 1 seed in the NFC if the playoffs started today is to hear from those he is leading to victory after victory. Perfect, yes. Keenum completed every single one of his 13 passes in the second half, for 117 yards and that touchdown to Rudolph, a score which capped a 15-play drive that took 8:15 off the clock spanning the third and fourth quarters. Matt Ryan, the Falcons’ dart-thrower who’s been to multiple Pro Bowls and was agonizingly close to winning a Super Bowl at the end of last season and being the new poster boy for quarterbacks, could only watch and admire the show on display. Keenum, unlike the prototypical quarterbacks of the 21st century, casts more than just an unassuming look in a football locker room, standing at least two inches below the 6-foot-1 that he’s listed as. For someone slight in stature and not steeped in NFL success before this season, what is making Keenum one of the “it” quarterbacks in the league right now? Vikings running back Jerick McKinnon, the Atlanta area native who scored the game’s first touchdown in the second quarter, noticed something else about the quarterback as he’s gotten used to standing alongside him in the huddle. “His competitiveness,” said McKinnon when asked by A Lot of Sports Talk about Keenum’s best attribute. “We didn’t come out hot, we got behind the ball and put [Keenum] in tough situations. He just keeps making plays and making plays. I think the offense is feeding off his playmaking ability. 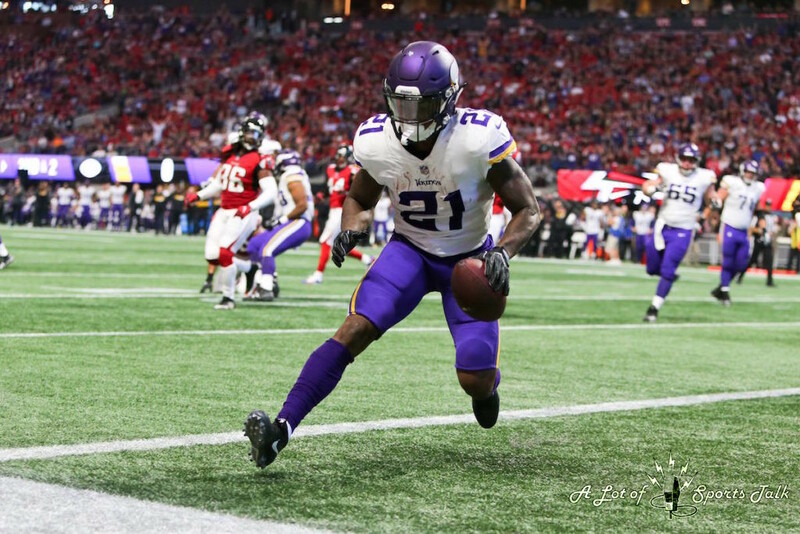 The nifty footwork that Keenum continually shows has aided in the fact that he has only been sacked nine times all season long, and it is something that has been a welcome surprise to the team and the coaching staff. “I probably didn’t know how good of a movement guy in the pocket that he is, and he has done a great job of that all year,” said Minnesota Vikings head coach Mike Zimmer after the game on Sunday. Like his pro career, which started with eight consecutive losses as a starter in 2013 while a member of the Houston Texans, Keenum has had to bounce back from uneven performances to earn the trust of the coaches and teammates that now hang on his every throw and every step out of the pocket while avoiding the rush. 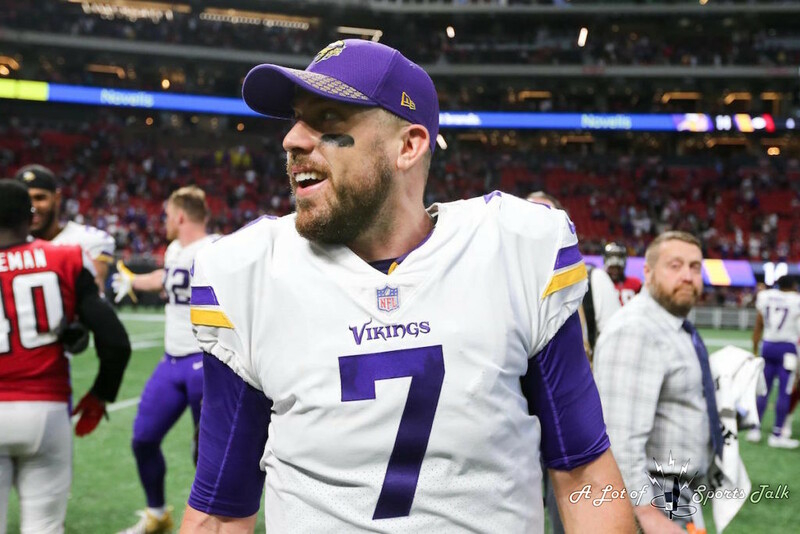 As surprising as it is right now to use words and phrases such as “great” and “Pro Bowler” to describe Case Keenum, there may be other phrases later in the season that we may have to use to describe him. 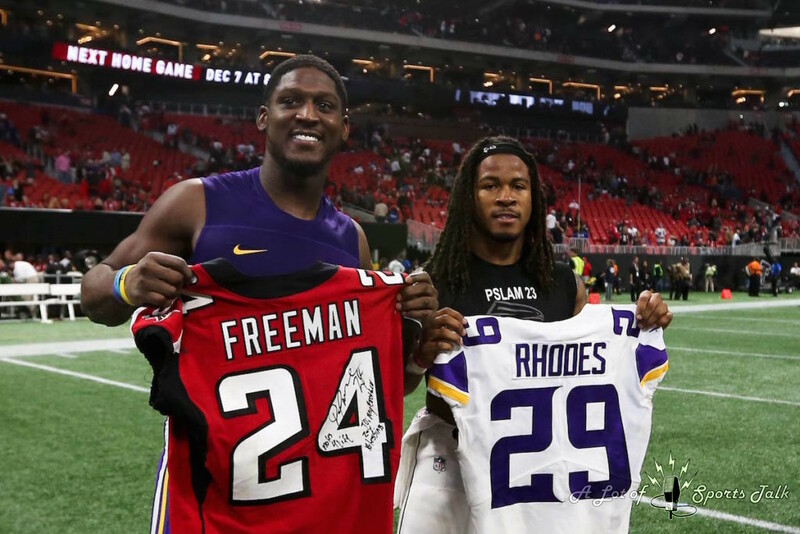 For the Vikings and their fans, they hope one of those will be “Super Bowl champion,” a phrase that has never been uttered about any member of the Minnesota Vikings in the Super Bowl era. But it might be the person you least expect, Case Keenum, who gets that job done. *Editor’s note: Above the byline and story is the photo gallery from Sunday’s game, with all photos taken by Florida-Georgia Star photographer Debby Wong. After clicking on the first photo to enlarge the picture, make sure to press the left and right arrow buttons to scroll through the rest of the pictures. There are five pictures in total.